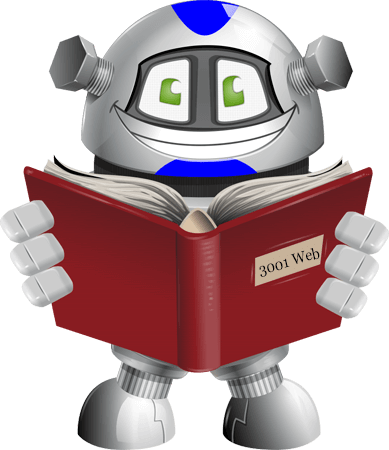 So who are 3001 Web? Where did they come from? How did the company start? Why did the company start? Find all this out and more below. Originally named 2001 web our company was formed way back in 2001 now there is a surprise. Gary McHugh the founder was the owner of several websites and became frustrated with all the different services needed to run his sites and coordinating them all. First there is a domain registrar for your sites www name, then a web host, then a webmaster or programmer for modifications and installations. Working with all these companies and trying to get work performed on his sites in a timely manner was a frustrating nightmare. What seemed to be missing was a place that a website owner could get all these services under one roof, whether a professional or a beginner we all need help from time to time. Gary set up 2001web with a view to offering a full range of services for website owners. That range of services has expanded over time to include most facilities a website owner will need to run a successful site. Our company was formed by solving all the issues that frustrated Gary and many other website owners. Support was the biggest focus, if you don’t have first class TIMELY support, how can you in turn offer it to your own clients? Gary’s number one annoyance was support reps who did not read support tickets fully and copied and pasted pre-written replies which did not answer his questions at all. There are no copied and pasted replies to support tickets here, we take your issues and challenges seriously we want to help you deal with them. If we do not understand your problem or request fully we will ask you to clarify not just answer with the nearest canned reply we can lay our hands on. Price was another focus. Understandibly if a company is just hosting your site they are charging you a small fee per month so they are not going to spend hours helping you fix your site when it breaks or help you to add new features and functionality. By the same token web designers only get to make money from you once so of course they are going to charge you premium rates with a more than decent profit. Because we are a web hosting company we get regular income from our clients so we do not have to charge overpriced fees for other services, this is reflected in our per minute billing system. With us if a job takes us 10 minutes that is all our client pays for. No silly one hour minimum fees here. Other times we may quote a fixed price for a task we have performed regularly for other clients. Obviously our staff will not work for your business free of charge but by being fair with pricing we find our customers come to us for services over and over again. In January of 2016 our company 2001 web was renamed 3001 web as we thought it better reflected a company that plans on being around far into the future and is committed to bringing you tomorrows hosting today!